Are you having a roller skating birthday party? Looking for some cool party favor ideas? 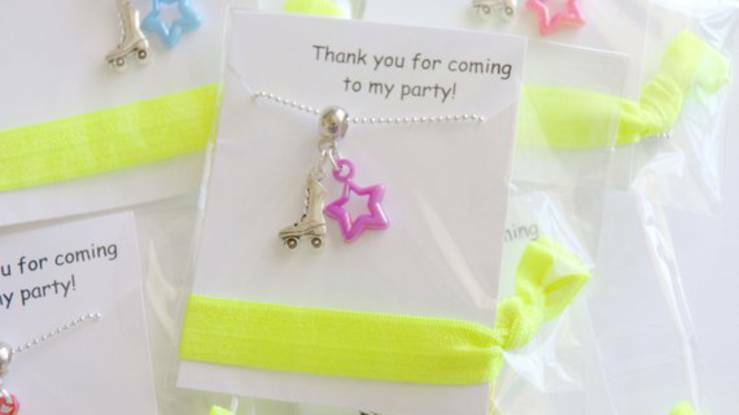 We have put together some of the best roller skating party favor ideas for boys and girls. My favorite idea for a roller skating party favor are these LED Roller Skate Blinkies! 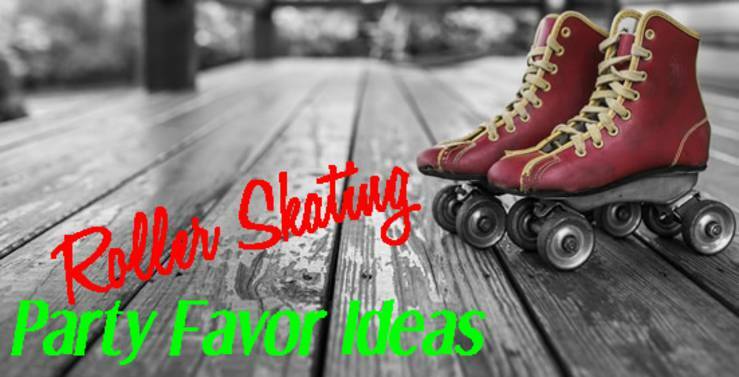 So grab your roller skates and let’s take a look at some fun party favor ideas. 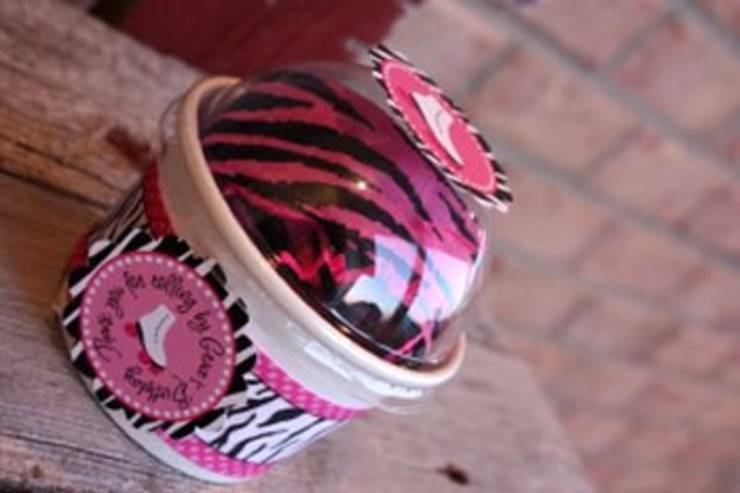 Grab a headband or socks toss them into an ice cream cup (to go) and you have yourself and easy and cute favor. Buckets of Grace. 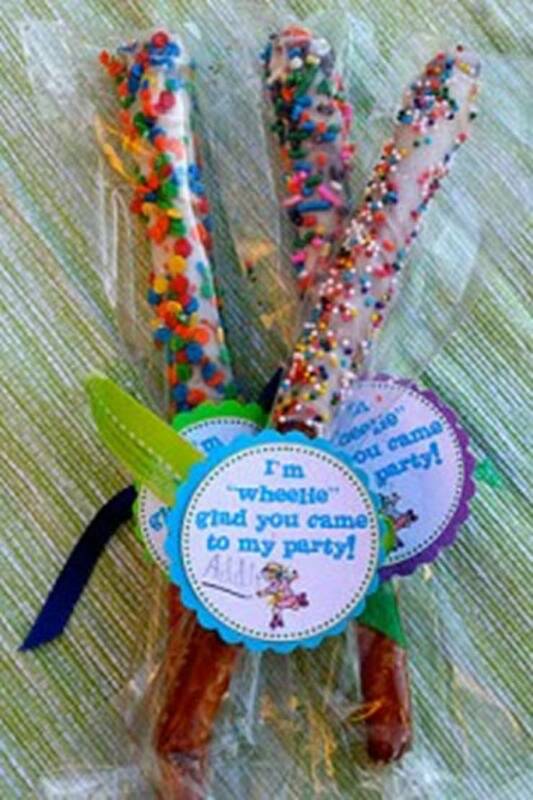 Grab some pretzels and chocolate and whip up these cute party favors. 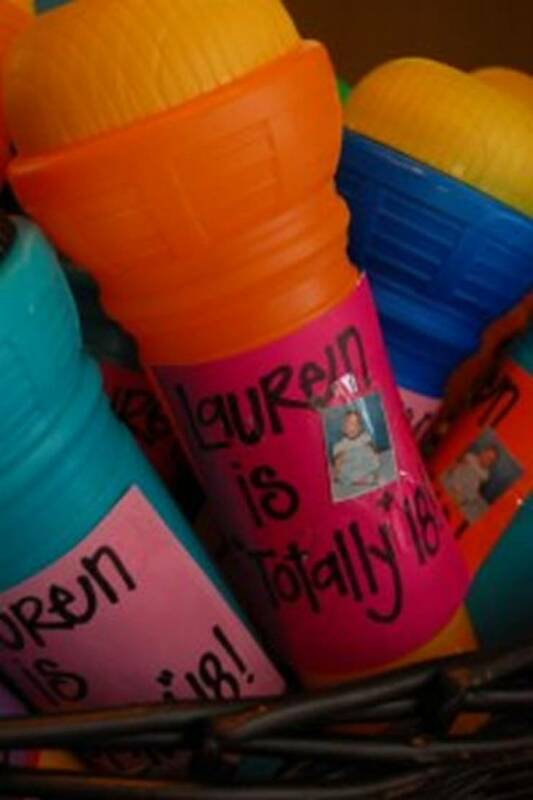 Add the cute label and it’s a perfect party favor for boys and girls from kids to teens. The Honey Pot had an 80’s themed party but these microphones could be a great party favor idea for a skating party. You can find the microphones here! 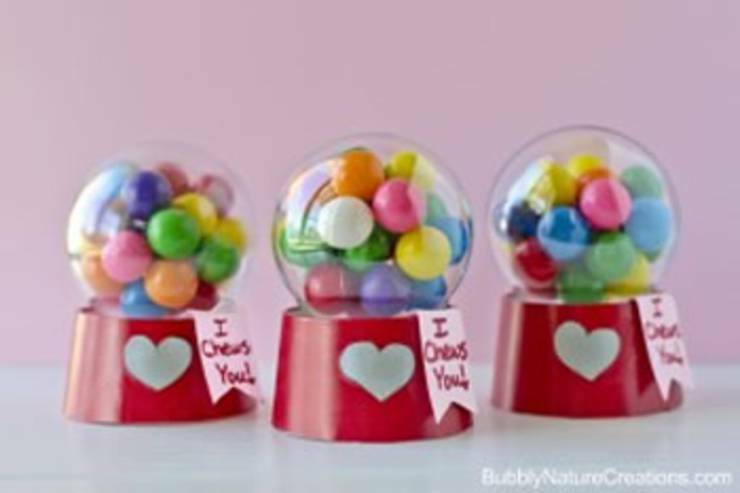 Why not make these cute little mini bubble gum machines from Bubbly Nature Creations. You will need paper cups and plastic ornaments – something like these! Make your own custom keychain. 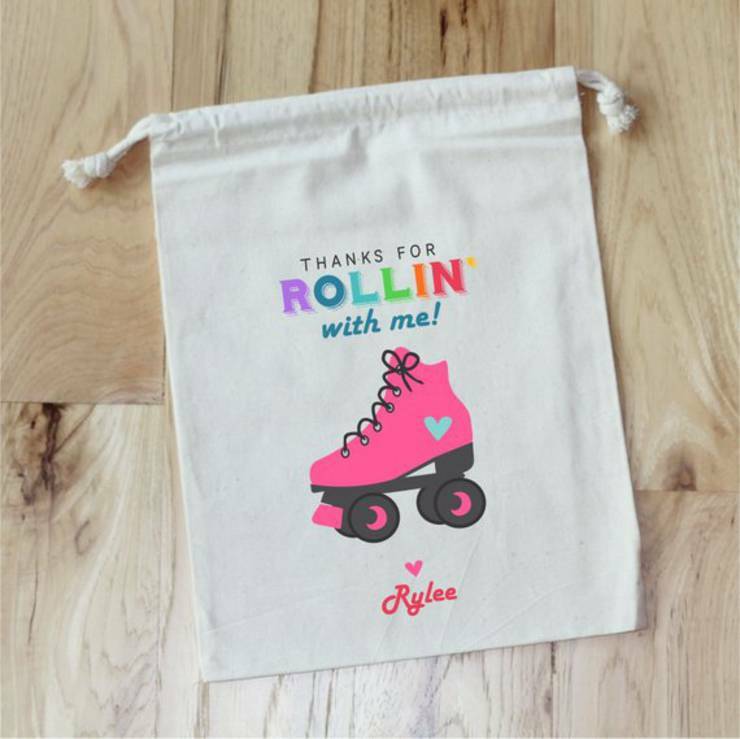 You could make a roller skating themed keychain to give as a party favor. This would be a great personal touch. 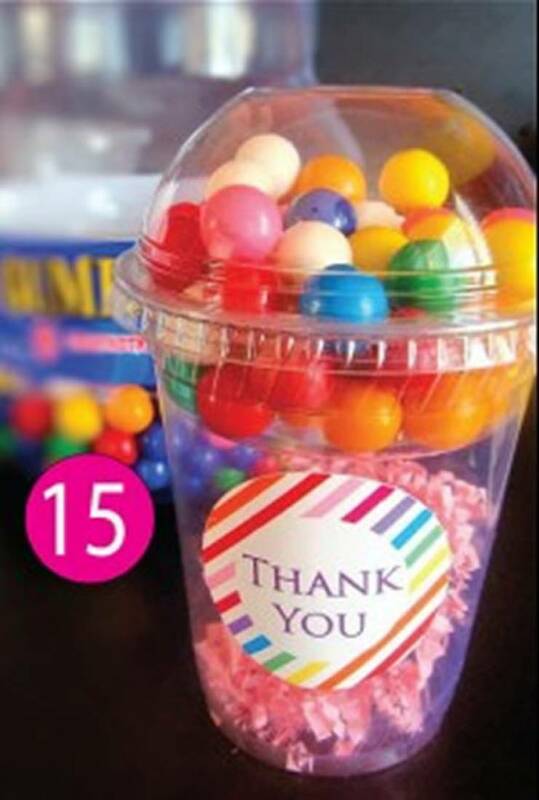 Such a great DIY party favor! 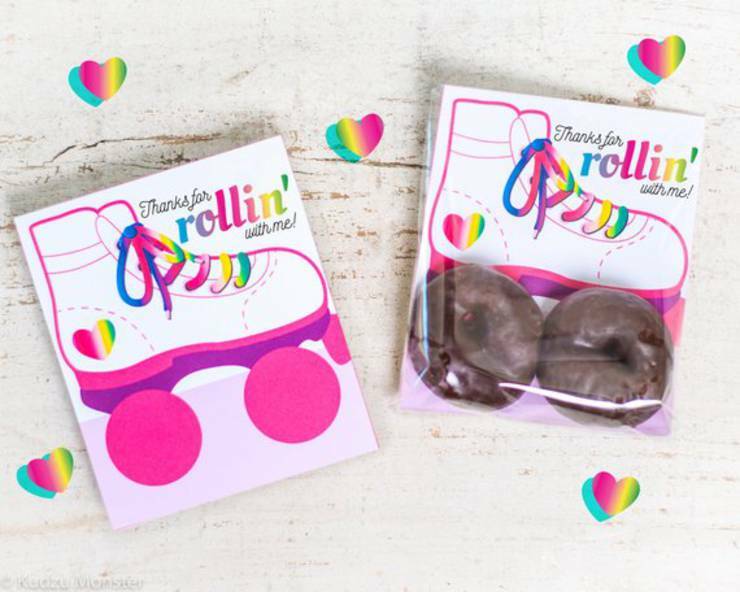 We hope you can find something cool and fun for your roller skating birthday party. No matter what kind of favor you choose we hope you have a fun and successful party. 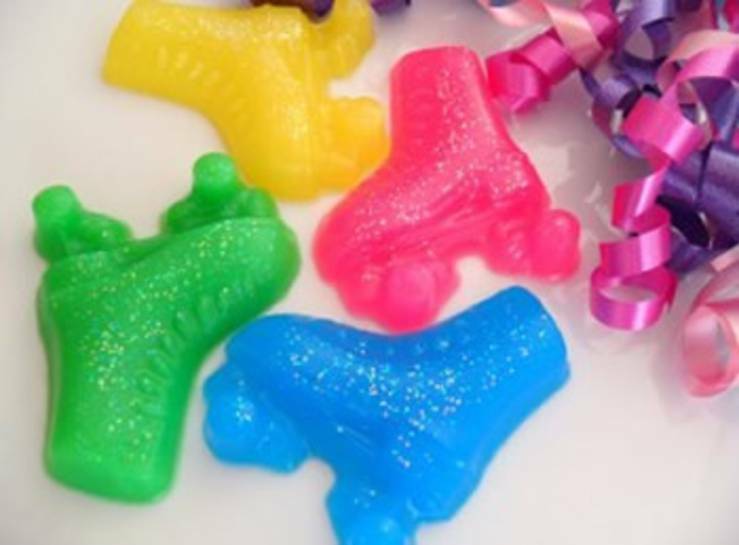 Which roller skating birthday party favor idea is your favorite? Is you party for boys or girls – preschoolers or teens? No matter what age neon lights always make for a great party and can be taken home as a party favor. Leave us a comment and let us know if you have any other party favor ideas that you would like to see added to our list. Pinterest also has some additional ideas. Hope you roller skating party is fun and the kids have a great time!